What you may not realise is that your financial management choice affects the ‘service’ side of the NDIS. You will be restricted to only receiving support services from NDIS registered service providers. You may well find that your preferred providers cannot be accessed through this route. Your preferred service provider(s) may not have completed the lengthy registration process yet, or indeed may not have the time to undertake the registration process at all. You can select your own NDIS service providers but will need to set up all the agreements with providers yourself, handle the payments and claim the relevant funds from the NDIS once products and services have been delivered. Self-management places a lot of additional work on the participant or their representative. This is where you get the benefits of self-management without the additional workload. 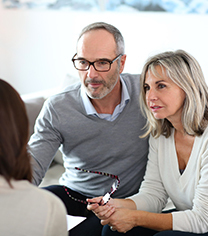 You use a financial intermediary such as Living Made Easy – Plan Management to handle the processing of invoices, claiming of funds from the NDIS and payments to service providers. You may also be offered an NDIS ‘Support Coordinator’ as part of your plan—this is not an NDIS Plan Manager, but somebody who helps to find and appoint your Service Providers. You will still need to choose a Plan Management option for the financial side. In some locations, Living Made Easy has a separate department that provides Support Coordination and is also a Service Provider. Firstly, let’s look at the overall benefits of Plan Management (compared to NDIA Managed or Self-Managed funds), and then we will explain the extra benefits you can expect with Living Made Easy – Plan Management. We don’t want to bombard you with lots of complex information about the NDIS; we just want to make your life easier. If you have received your NDIS Plan or are expecting it soon, you will have already learned a lot about the NDIS during the application process. What you need now is a simple way to use your fun as you choose and get on with life without worrying about paperwork, budgets and invoices Living Made Easy – Plan Management is here to support you now and in the future. If you are a complete newbie to NDIS and haven’t started your NDIS application process, you won’t be ready for our NDIS Plan Management services yet. Our Resources page has information to get you on your way… and we’ll see you back here again real soon! Plan management does not cost you any more money. You have complete control over who you use and how your funding is allocated. Appointing an NDIS Plan Manager means you have someone in your corner, looking after all the paperwork and administration. That gives you valuable time to spend with your loved ones, rather than wading through invoices and complex NDIS price lists. Unlike Self-Managed funds, you will have freedom from paperwork, invoices and payments. Any billing issues or queries are handled by your NDIS Plan Manager. Under a NDIA Managed Plan, you use myplace, the NDIS Portal, to track spending vs budget. This only shows what invoices have been presented and paid, so it can be difficult to keep track of spending. If a service provider is slow to invoice, or if you have a service agreement for future spend with a supplier, the Portal does not reflect your true available funds. This can cause stress and worry, particularly towards the end of a plan year when you don’t know what funds you have left to spend. Under a Self-Managed Plan, it is up to you to track your own spending, service agreements and invoices, which can be time consuming and difficult. One important benefit of Plan Management is that your NDIS Plan Manager will have software tools to track your spending. The software tools vary enormously so ask to see screen shots and examples of any software your NDIS Plan Manager uses. 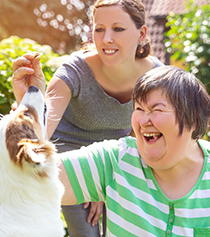 You might feel that you have little control over many elements of the NDIS world, so we focus on giving you complete flexibility and empowerment over your funds. You can choose any service provider you want to use, select any distribution of funds, and we will take care of the rest. Our proprietary online tool, built specially for Living Made Easy, means you can view your NDIS Plan status at any time, and we will respond quickly to any changes you wish to make. Our EASYPLAN online tool gives you a visual snapshot of the funds spent to date, proposed spending and remaining funds. Unlike the NDIS Portal, our data includes all commitments from your bookings and service agreements, not just those that have been invoiced to date. Importantly, you don’t have to input any data; your NDIS Plan Manager looks after that for you. 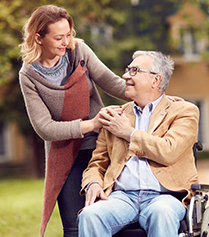 EASYPLAN was developed by an IT expert with a wealth of experience in disability and aged care support, so it is designed with your needs in mind. Your Living Made Easy NDIS Plan Manager will check all invoices carefully so you get the most out of your support services and budget. Before authorising payment, we will ensure compliance with NDIS codes, prices and your instructions. You can view your invoices at any time through the EASYPLAN online tool so everything is transparent. To fast-track the invoicing process, you can set up personalised invoicing rules for us to follow. For example, if you receive the same support service every week from the same provider, you can instruct us to authorise and pay their regular invoices without our usual second-tier authorisation check. This makes your life easier and is another example of the complete control you have over your funds with Living Made Easy – Plan Management. Through our online tools, you can explore options to use your funds the way you want to. We have an easy-to-navigate price list, so you don’t need to be an expert in NDIS or disability support terminology.